The Authors Show gives a platform to hundreds, maybe thousands of authors across all genre of literature. 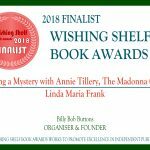 Scroll down to the schedule of interviews, and find me, Linda Maria Frank, “The Mystery of the Lost Avenger”. 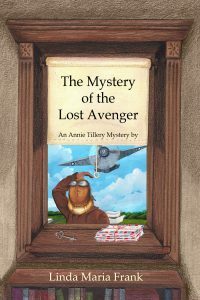 The latest interview, “The Mystery of the Lost Avenger”, is unique in the Annie Tillery Mystery series in that the story takes place in two time periods. Annie’s great grandmother, Charlotte Wheeler, was a test pilot for Grumman Aviation during WWII. When the wreckage of one of the planes she was supposed to fly to California to be loaded onto an air craft carrier headed for the Pacific is found in 2014, a cryptic note in the plane is traced to her. 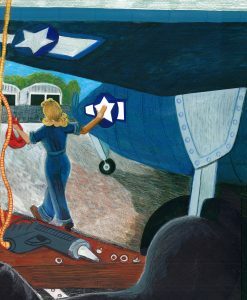 What happened in 1943 to cause the plane to crash, and how was Charlotte Wheeler involved? Please enjoy my interview. 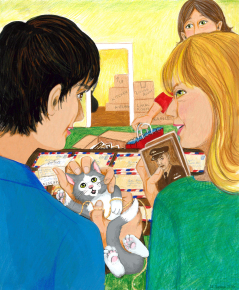 Here is the art work from the book. 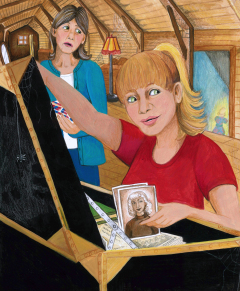 2) Searching the Attic for Charlotte Wheeler, Annie’s great grandmother and test pilot. 3) Who is watching Charlotte Wheeler as she leaves an Avenger she is about to fly?